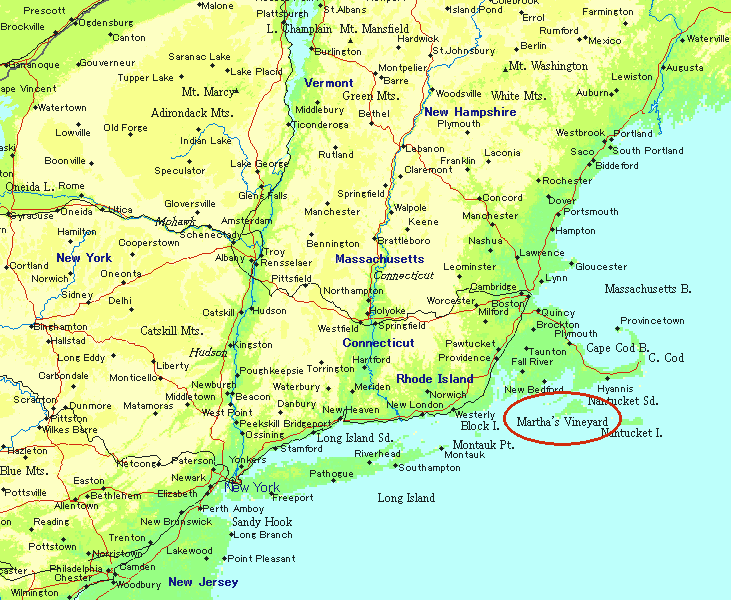 On Martha's Vineyard a small group of fishermen began to exaggerate a tendency already existing in their speech. They did this seemingly subconsciously, in order to establish themselves as an independent social group with superior status to the despised summer visitors. A number of other islanders regarded this group as one which epitomized old virtues and desirable values, and subconsciously imitated the way its members talked. For these people, the new pronunciation was an innovation. As more and more people came to speak in the same way, the innovation gradually became the norm for those living on the island.
. . . /wə/ became syllabic /w/, that is /u/, thus ME folwe, shadwe, sorwe, medwe, etc. became /folu, ʃadu/, etc. This pronunciation is often found in the old orthoepists; thus H 1569 has /felu/ and /feluˑ/ by the side of /felo/, /folu/ by the side of /folo/, and /halu/, for fellow, follow, hallow. M 1582 says that -ow in the ending of bellow, mellow, yallow is = "u quick". H 1662 likewise -ow = u: hollow hollu, tallow tallu, etc. ; J 1701 has "oo" in follow. This pronunciation is continued in vg [ə]:[fɔlə, gæləs], and the spelling -ow adopted in all these words was probably at first intended for the sound /u/ or possibly /uˑ/. But we soon find another pronunciation cropping up; H 1569, besides /u/ as mentioned, has also /boro/ and /borou/ borrow. G 1621 does not seem to know /u/, but has /oˑu/ in follow, shadow, bellow, hollow. J 1764 says that -ow in follow, etc. = "o", but if another vowel follows, it is "ow". Now [o(ˑ)u] is the established pronunciation. §295. In words such as folwe(n) 'follow' there were variant developments in ME: either a glide-vowel o developed before the w, which then vocalized to [u], giving the diphthong ou; or the w, after final ĕ had become silent in late ME, vocalized to [u], which was identified with ME ŭ. PresE has regularly [o(:)] < ME ou, but formerly [ʊ] (or, by reduction, [ə]) < ME ŭ was common in follow, narrow, sparrow, borrow, morrow, yellow, &c. ME ou (or sounds developed from it) is shown by Hart (who has boro, &c. with [o] < [o:] < ou and felō with [o:] < ou; in all six forms < ME ou, against more than twice as many < ME ŭ), Laneham (folo, &c., but also ŭ), Bullokar, Robinson, Gil (who has both [ou] and [o:] < ME ou), Butler, Hodges, Newton, Lye, Lodwick, Cocker, Brown, and the shorthand-writers T. Shelton, Everardt, Bridges, Heath, and Hopkins. The pronunciations [ʊ] and [u:] (by lengthening of [ʊ]) < ME ŭ are shown by Salesbury, Hart (commonly), Laneham (yelloo 'yellow'), Mulcaster, Jonson (apparently; he says o loses its sound in willow and billow), Howell (1662), Price, Richardson, and WSC-RS. Gil gives fula, in which the a must represent [ə] (probably < ME ŭ) as a Northern form of follow. In the seventeenth century these words also had pronunciations with [ə] and perhaps with [ɪ] . . ., which are likely to be derived from the ME ŭ rather than the ME ou variant. なお，/r/ が後続する /juːr/ は，同様に中英語の /ɪʊr/, /ɛʊr/ に由来し，次のような語を含む．cure, curate, curio, curious, curiosity, conjure, dure, endure, Europe, ewer, fury, figure, immure, jury, lure, luxurious, mature, measure, nature, natural, obscure, pure, purity, procure, plural, premature, secure, sure, surety sewer, your. ・ Hogg, Richard and C. B. McCully. Metrical Phonology: A Coursebook. Cambridge: CUP, 1987.
b. nuclei which move downward have homorganic out-glides, front with front vowels and back with back vowels. だが，注意したいのは，Labov は長母音の推移について語っているのに対して，Stockwell and Minkova は2重母音の推移について語っていることである．15世紀以降，南イングランドで生じた最も有名な大母音推移の議論を思い出せば，通常，入力となる音としては長母音が前提とされている．しかし，Stockwell and Minkova は，Uniformitarian Principle （斉一論）を引き合いに出しながら，現在進行中の2重母音推移の傾向に鑑み，件の大母音推移の入力も本当は長母音ではなく2重母音だったのではないかと，驚くような revisionist な提案を，さりげに，さりげなく括弧内でしているのである．"no one has proved that the shifting nuclei were long pure vowels, and indeed the very fact of their shifting suggests that they were not" (97). Assuming that the ultimate target of a centering diphthong is a point maximally distanced from the out-glide end-points, i.e. the -y and -w of the peripheral diphthongs, namely some kind of low central [a] or [ɑ], we can argue that the reason that in-gliding diphthongs raise the first element is perceptual optimization: [æə] is worse than [ɛə] which is worse than [ɪə]. In the back, [ɒə] is worse than [ɔə] which is worse than [ɔ̝ə] which is worse than [ʊə]. Put another way, Labov has the motivations for chain-shifting in English (and indeed throughout Germanic) backwards: it is not that peripheral vowels rise, because there is no phonetic motivation for that claim to be true; rather, it is that the elements of in-gliding diphthongs distance themselves from each other for optimal perception, which raises the first element. ・ Stockwell, Robert and Donka Minkova. "Explanations of Sound Change: Contradictions between Dialect Data and Theories of Chain Shifting." Leeds Studies in English ns 30 (1999): 83--102. The spelling shew, prevalent in the 18th cent. and not uncommon in the first half of the 19th cent., is now obsolete exc. in legal documents. It represents the obsolete pronunciation (indicated by rhymes like view, true down to c1700) normally descending from the Old English scéaw- with falling diphthong. The present pronunciation, to which the present spelling corresponds, represents an Old English (? dialectal) sceāw- with a rising diphthong. ・ Prince, Alan and Paul Smolensky. Optimality Theory: Constraint Interaction in Generative Grammar. Ms, Rutgers U and U of Colorado at Boulder, 1993. ・ McMahon, April. "Change for the Better? Optimality Theory versus History." Chapter 1 of The Handbook of the History of English. Ed. Ans van Kemenade and Bettelou Los. Malden, MA: Blackwell, 2006. 4--23.